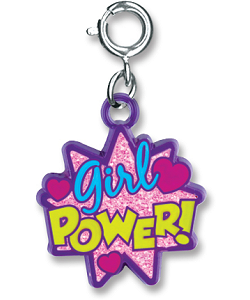 Add a splash of "Girls Rock" attitude to your charm bracelet with this exciting CHARM IT! Girl Power! "burst" charm. With colorful letters of blue (girl) and yellow (POWER!) and hot pink heart accents, this delightful Girl Power charm features a glittery pink background nestled on a bed of purple, adding fun and fashion to your charm bracelet. With a simple snap of a clasp, you can personalize your CHARM IT! jewelry with this vibrant CHARM IT! 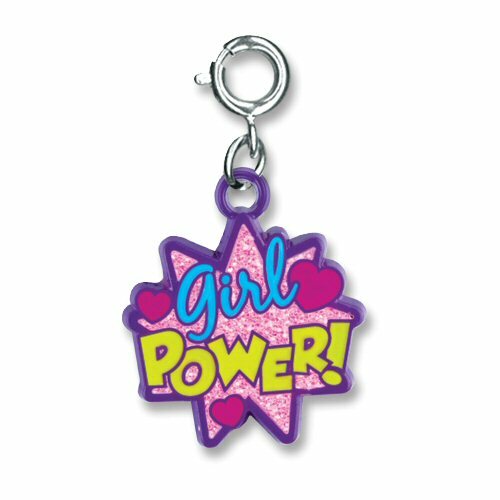 Girl Power charm.